Milwaukee has so much delicious food. With so many great restaurants, it can be hard to choose when dinner time rolls around. But if you follow your cravings and are willing to try out some new spots, you can end up with something delicious. 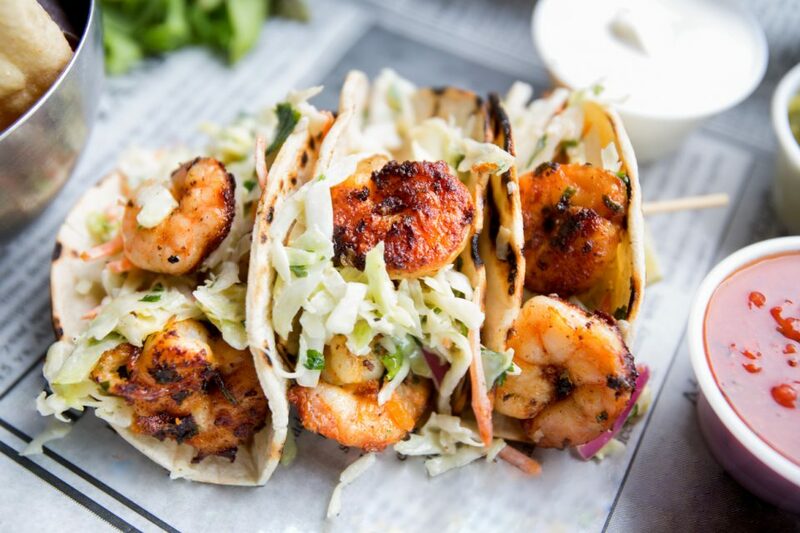 Next time you feel like tacos, check out one of these places. When you’re looking for a place to unwind with a drink and a snack, look no further than Cloud Red. They have 16 taps for craft beer and a great variety of cocktails, wine, and bottled beer, too. Their small food menu always includes shrimp tacos and chicken empanadas. If you’re really craving tacos, though, you’ll want to come in on Margarita Monday or Taco Tuesday. You’ll be able to get $5 pork, shrimp, or tempeh tacos, $3 chips and salsa, $6 double margaritas or $20 margarita carafes. Stop by and see them at 4488 N. Oakland Avenue, Shorewood. You can get some fantastic tacos nearby at Mazorca Tacos. Their al pastor taco is fantastic. It has pork marinated in adobo with avocado and cilantro salsa. Or you could try their birria taco with braised beef, tomato salsa, pickled onions, and cilantro. Their bistec taco is also really popular. The beef is marinated in Wisconsin beer before being cooked and thinly sliced. Beans and tomatillo salsa round out this tasty taco. There’s also a vegetarian option with muenster cheese, guacamole, tomatillo salsa, and cilantro. You can find Mazorca Tacos at 209 S 1st Street, Milwaukee. If you’ve never been to a taco truck before, start with Taqueria El Pariente. They have a permanent spot at the corner of South 1st Street and West Layton Avenue, so they’re not hard to find. Sample a taco, burrito, quesadilla, or gordita from this tasty spot. You can even get a delicious breakfast if you’re in the area in the morning. And you’ll never believe this delicious, perfectly prepared food came from a truck! Once you’ve gotten your taco fix, you’ll be ready to tackle other things in your life. If a vehicle upgrade is on your list, we’d love to help with that at David Hobbs Honda. Check out our inventory online, then come by the dealership for a test drive.